Local author/publisher, Tony Dierckins, announces some exciting changes ahead for his publishing company, X-Communication. This longtime Duluth publishing company is in the process of transforming into Zenith City Online, celebrating regional history. Zenith City currently is in the development stages– both in design and content–and will be officially launched in January of 2012. Tony invites you to take a peek at Zenith City's preliminary site at http://www.zenithcity.com and welcomes your ideas and input. 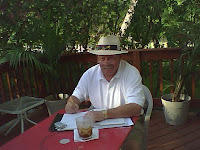 As many of you know, Tony (X-Communication) published my book, Cooler Near the Lake, in 2008. I and other local writers and historians will be regular contributors to this new creative enterprise. 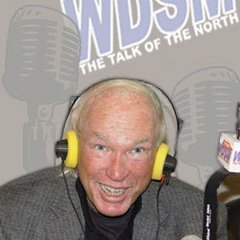 My friend broadcaster Lew Latto is dead. Suddenly, unexpectedly, before we could get together for our next birthday observance (mine), which we have done with a few other friends for many years. Lew and I were good friends -- good in the sense that we had a high regard for each other and our shared past -- not close friends -- close in the sense that would describe a friendship in which the participants have daily, weekly, regular contact. We got together on our birthdays, mine in October, his in January. 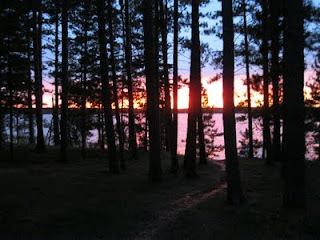 It was enough to maintain a warm friendship, warm in the sense that we liked each other, enjoyed each other’s company, and shared years and years of memories, going back to when we were elementary school-age children and first met at Duluth’s Lincoln school. That adds up to around a 65 year acquaintanceship, much of it friendship. There are so many stories involving Lew over those years that are interesting, some of which I shared with readers of today’s (Aug. 25) Duluth News Tribune when interviewed by the paper’s John Myers. (Read HERE.) Here are a few more impressions and memories. When we were at Denfeld High School together, when our friendship cemented, Lew was like no other student. He had physically matured early, and, as the fates would have it, was given a deep, resonant speaking voice, perfect for radio. I don’t know if it was the voice that drove him to his early interest in radio, or just an innate interest coming out, but that voice sure helped, and it never failed him. During those later teen years, Lew seemed to straddle two worlds like no one else I knew, or have ever known. With his friends he was a fun-loving, sometimes mischievous teenager, doing all of the frivolous stuff that age inspires, but at the same time he was an adult, already working on the air in radio, dealing with station managers and producers and operating in the adult world. I knew a Denfeld teacher whose first year on the faculty was Lew’s senior year. When she first encountered him, she thought he was a fellow teacher, not a student. That was Lew’s adult side. He seemed to skip adolescence and jump from childhood to adulthood. But, thinking back on his life and our association, I’m going to share a to-me favorite story that for some reason came rushing back yesterday when I was informed of Lew’s death. Although I was one class ahead of him (but only four months older) we were assigned to the same gym class at Denfeld. And while Lew had been a varsity junior high basketball player, he had no interest in participating in high school sports. He was too busy getting on with his life. But we had to take physical education – a mandatory class for sophomores and juniors. So we’d dutifully change into gym clothes and go through the motions of physical education because we had to, often playing shirts-skins basketball, but Lew and I concocted a scheme wherein we could show up for the class during roll call and then slip away for the hour into the parking lot and sit in his car and smoke. Yes smoke. We were high school cigarette smokers, a not uncommon trait in the 1950s when more doctors smoked Camels than any other cigarette. To pull off our exit, we’d stand for roll call – the classes were large, probably about 60 boys – and then fade to a corner door in the gym that led to the parking lot. 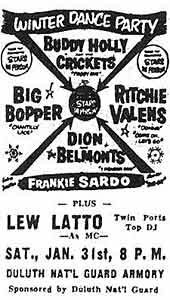 We’d scamper to Lew’s car – he always had a car – and sit for an hour smoking cigarettes in our gym clothes and listening to music on the radio, most likely on the station that later that day he’d be the deejay himself. At the end of the hour, we’d sneak back into the class in time to go to the locker room and dress for the next class, our urge to smoke satiated for awhile -- at least until school let out. Why such small, inconsequential and distant memories come to mind these many years later on news of a death of a friend, I don’t know. Maybe it’s those small, shared moments that are the mortar of the building blocks of a long-lasting and deep friendship we share with so few people in our lifetimes. The last time I heard from Lew, he e-mailed me to remind that our next birthday gathering would be October 4, my birthday. It’s so sad to realize he won’t be there. "Mischief and mishap figure into Quinlan Michael Hampston's hilarious stories of how a kid who couldn't read grew up to be a man who would write a book." Hampston's newly published memoir will officially launch with a book signing affair at R. T. Quinlan's from 4-6 p.m. on Saturday, August 20. Everyone's invited to this public event. "It's often said that there's a book in everybody. Maybe. 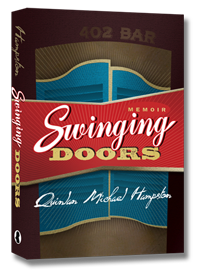 But not everybody can write as well as Quinlan Michael Hampston–known by his friends as Mike–or recall details of their lives as vividly as he does in his memoir, Swinging Doors. 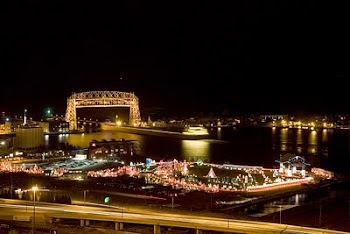 Here's an unvarnished Duluth life the likes of which you're unlikely to encounter on any other printed page. His unflinching willingness to recount in detail his failures in school, painful marriages, tough careers in baking and bartending along with a lot of drinking in Duluth's less polite establishments makes compelling reading." Jim Heffernan in advance praise for the book. Cal Griffith, the late outspoken former owner of the Minnesota Twins, is still outspoken when a "diehard twins fan" (HowieBlog.com blogger, Tim Bouvine) interviews him from the beyond: (August 8th HowieBlog post, The ghost of Calvin Griffith speaks in 2011). It brought to mind a poem I wrote more than 30 years ago, when Cal was still at the Twins' helm. He had caused considerable controversy in a speech and I commented in a form baseball fans might recognize as strangely familiar (try "Casey At the Bat"). It turns out Calvin, like Casey, struck out. That poem, Calvin at the Plate, (see below) was originally written for my Duluth News Tribune column and is included in my book, Cooler Near the Lake. The chaplain muffed the praying and the Lions would have to pay. The Lions sat back to listen up, looking leonine. Would make the club look foolish and the speaker look a clown. He tried his best to stand the test and gather up applause. A writer taking lots of notes, and he was from the press. The air was filled with silence, and smoke filled up the joint. He thought he’d toss some spice around, to add it to the fun. He didn’t care that Wynegar’s wife would deign to disagree. There’s plenty of time for marriage, when life’s a bit more staid. When Calvin turned the subject to a place known as first base. And everyone was shocked when he called him a damn fool. He really should to appreciate such treatment from the owners. He told the stadium commission that it could go to hell. He said the feisty manager could charm a monkey’s---. He’ll have to live with that one, until the day he dies. When we heard that Minnesota had but fifteen thousand blacks. But there was no joy in Twinsville, When Calvin G. spoke out. 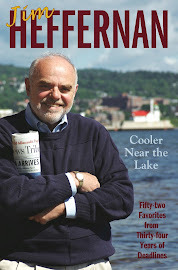 Included in my book, Cooler Near the Lake, still for sale in area bookstores and on line! I drove up the winding new road to the low-slung middle school they’re building on Duluth’s western hillside, near where the ore-train tracks morph onto the massive ore docks, and realized: Goosetown is no more. Up the grade at the end of such West End streets as Wellington, Restormel, Vernon, and others, where Goostown once was, there now will be an imposing middle school, the name of which I don’t know. Goosetown Middle School has a ring to it, though, don’t you think? Their teams could be the Ganders. I lived about a mile east of Goosetown when I was growing up and didn’t get there much, the great divide of Lincoln Park with its Miller Creek serving as a line of demarcation between my part of the West End and their part of the West End, which included Goosetown. 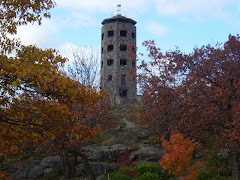 We had Goat Hill (to be saved for another time), but they had Goosetown, called that – I’m not sure intended as a compliment – because it was an enclave of Polish immigrants and their immediate descendants who, we were told in our part of the West End, kept geese agriculturally. Duluth used to be more ethnically defined than it is today, if it is at all today. 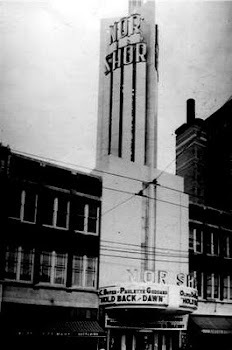 Polish in Goosetown, Italians in Little Italy, my Swedish mother was brought up on Goat Hill, although I don’t know if they were all Swedes. It was named, I think, because it is so steep that only mountain goats could live there – mountain goats and Swedes (at least a few). The workers constructing the new middle school up in Goosetown are not eager to have the public visit yet – the building looks about two thirds done – and post their objections on a large “do not enter” sign at the entrance to the property, but the gate was open so I drove up there anyway, on a new blacktop roadway that winds along the terrain like a mountain road. This was all new terrain to me, having only visited the heart of Goosetown once as a child when a relative was engaged to marry a Goosetown woman, but it didn’t work out. She did not keep geese, so that wasn’t the problem. So for me, driving up there is not so much a nostalgic visit as one of curiosity. 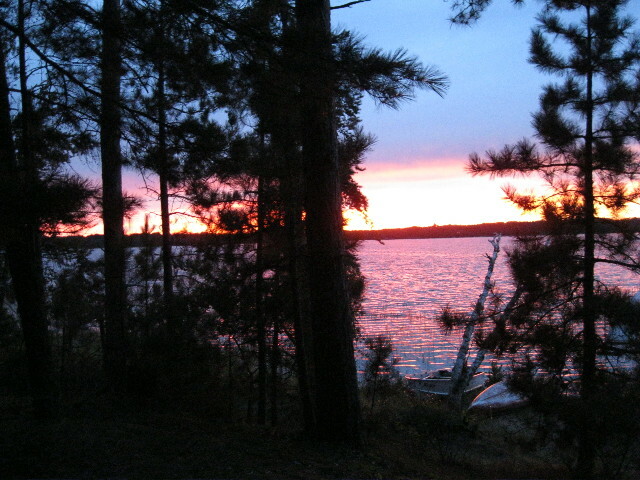 The panoramic view of the St. Louis River estuary and harbor is breathtaking, with the Blatnik and Bong bridges seeming to be just blocks apart. It will be a beautiful place for middle schoolers to attend classes, but they won’t appreciate the view until they are much older. And I expect that in their geography or history classes they won’t be told they are in the heart of a place formerly known as Goosetown, where once geese were kept, for whatever reasons geese are kept, by people said to be originally from Poland and their children, born in America. The future students won’t be told because so few people, including their teachers, know about what went before the school on that property. That’s why I wrote this. Pass it on.